PLEASE READ FIRST: If you would like to be considered for an upcoming performance, please email your interest to events@cityofrehoboth.com after September of the upcoming season with information needed for full consideration. Requirements in order to perform are listed in the press pack requirements section of this page. If these resources do not provide a viable solution for you, please contact us here. Submissions prior to September may not be considered as our current Summer Concert Series is still taking place. Booking for the upcoming Summer Concert Series begins in January of that respective year and concludes by the end of March. Note to performers: As we prepare for our upcoming seasons, please refrain from repeated inquiries regarding a requested performance. We carefully evaluate each and every submission in order to find the best fit for our venue. If we are able to offer your group a performance opportunity, we will contact you with appropriate details. We appreciate your patience in allowing us to build our summer schedule with continued professional and FREE entertainment! IMPORTANT NOTE: We are no longer accepting hard-copy press packs. 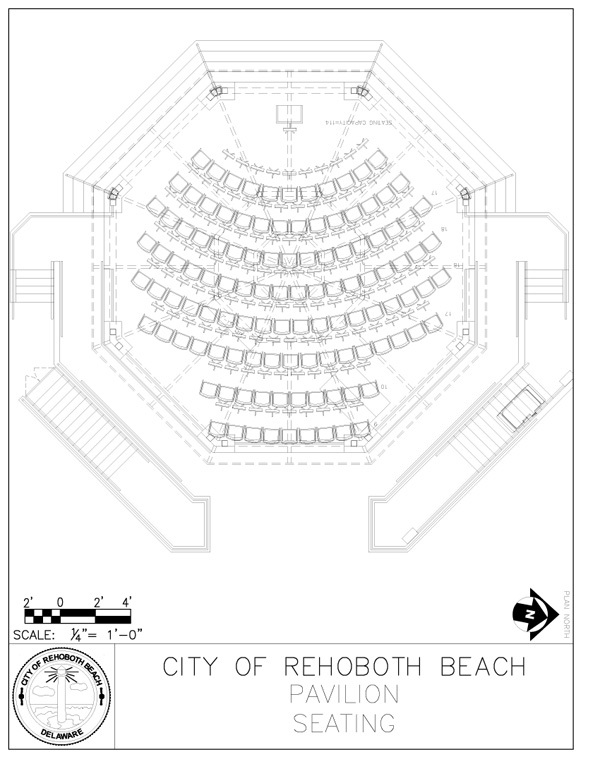 Instead, you may submit your materials online, through email (events@cityofrehoboth.com). Failure to include price may risk performance consideration. Please do NOT use our contact form in order to submit your applications. The Rehoboth Beach Bandstand is happy to consider all groups and all genres. Some of our most popular groups include: Acoustic, Adult Contemporary, Alternative, Bluegrass, Blues, Classical, Country, Folk, Funk, Jam Band, Jazz, Latin, Pop, Reggae, Rock, Singer/Songwriter, Standards, Urban / R&B, and World. Please note that groups are selected through an application process, not simply by the order by which they are submitted or by any kind of waiting list. 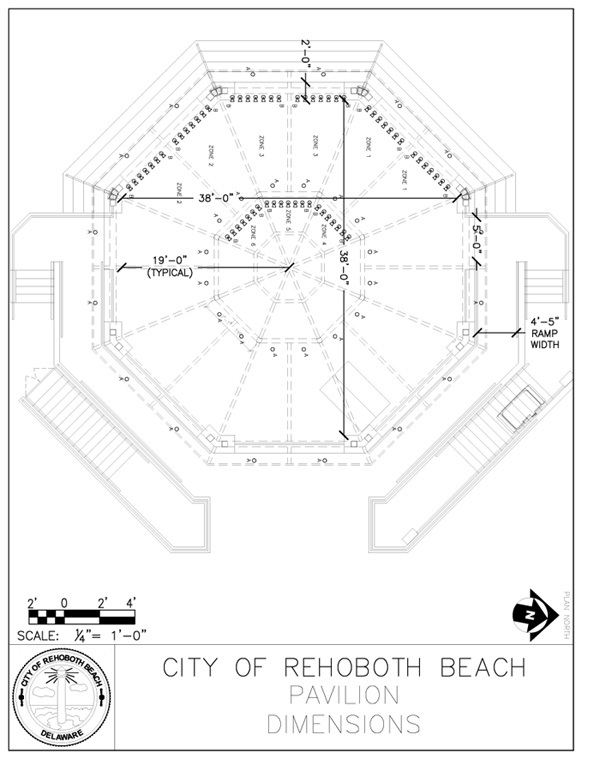 The Rehoboth Beach Bandstand is NOT a rentable structure. The venue is used to promote musical entertainment for the citizens and tourists of Rehoboth Beach and the surrounding areas. Artists/groups can not specifically request to use the bandstand on a specific day. Groups are chosen and asked to perform based on the submitting of press packs and other materials. 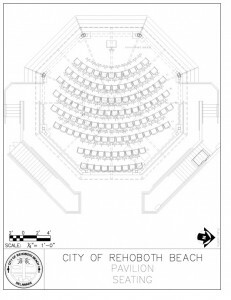 If groups would like to rent a facility for a performance or other event, please contact the City of Rehoboth Beach (302-227-6181) and request the use of the Rehoboth Beach Convention Center. It is the responsibility of the group to provide to us the appropriate price for your particular performance. Pricing may or may not be negotiated, please be considerate. 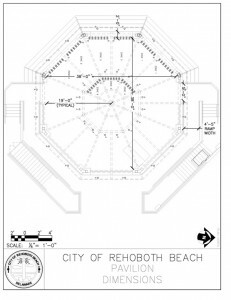 The Rehoboth Beach Bandstand does NOT take tickets for events, so we have no way to be reimbursed for your performance. In order to get paid for your performance, you must fill out a W-9 tax form. This will be given to you at the time of your booking and contract. All performers must provide either a federal tax ID number or a social security number prior to receiving any form of payment from the event. We do not supply food or lodging to performers. Since we are located within a large number of food vendors, there is plenty to eat and drink around the area and we do not want to cause any business to lose revenue due to us providing meals. Since we are in a resort area, there are many hotels, motels, and inns throughout the town. We do not have any arrangements with local lodging companies. It is the responsibility of the performers to provide their own lodging for their duration in Rehoboth Beach. We recommend searching this website in order to search for hotels in your area. The City of Rehoboth Beach provides you with a full PA and soundman for your performance. If you should choose to bring your own soundman, they will not have access to our system. If you wish to bring your own soundman you must also bring your own sound to the event. General overhead lighting is provided. This lighting is bright enough to not need stand lights or extra lighting materials. We do not have colored or theatrical lighting. If you would like additional lighting, you must provide this on your own. You have access to 70+/- folding chairs, 25+/- music stands, full dressing rooms (women and men separate), 3 private toilet facilities, and air-conditioned backstage areas. You have access for up to 6 cars (depending on size) to park directly next to the bandstand. Additional parking will need to be utilized by parking meters. If you need additional parking requirements, contact the bandstand NO LATER than 7 days prior to your performance.